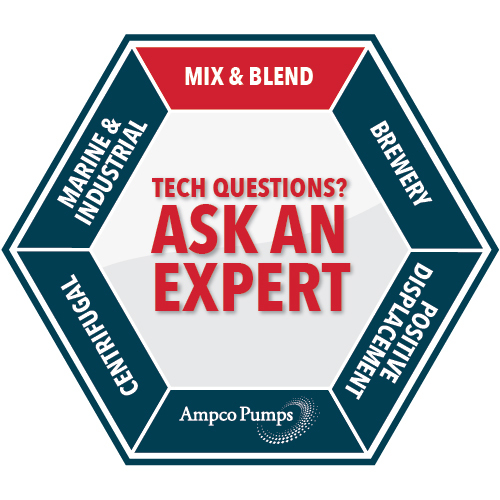 The Ampco Applied Products DRY-blend system offers efficient and thorough blending of wet and dry ingredients. 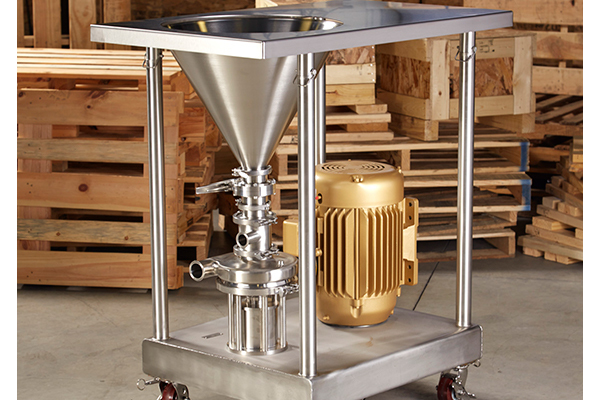 A tube within a tube design – powered by the Ampco AC+ centrifugal pump – eliminates foaming, lumping and fisheyes, and delivers consistent blending with every batch. The AC+ centrifugal pump offers a balanced and redesigned threaded shaft and impeller nut design that increases seal life. 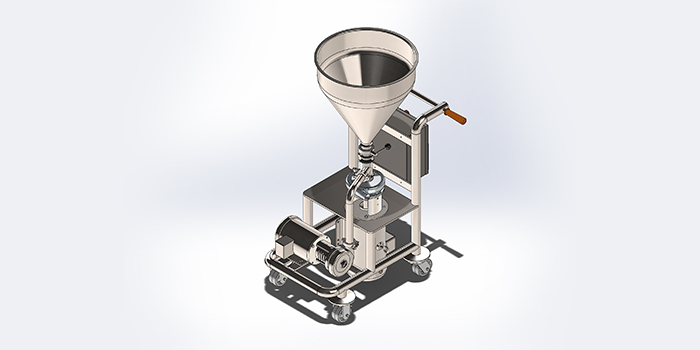 All wetted components are made of 316L stainless steel and the hopper style system can induce up to 350 lbs/min/159 kg/min. 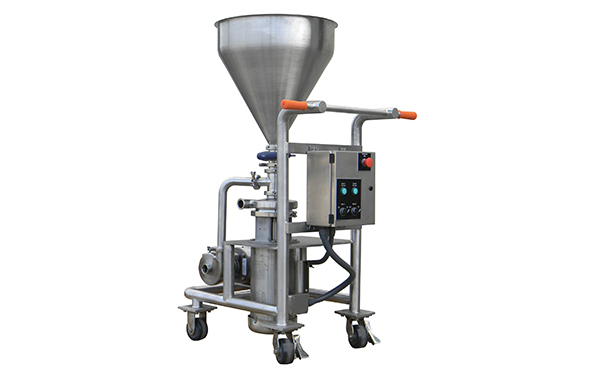 Easy to maintain and operate, the DRY-blend system is suitable for food, dairy, beverage, pharmaceutical, personal care, and chemical applications. 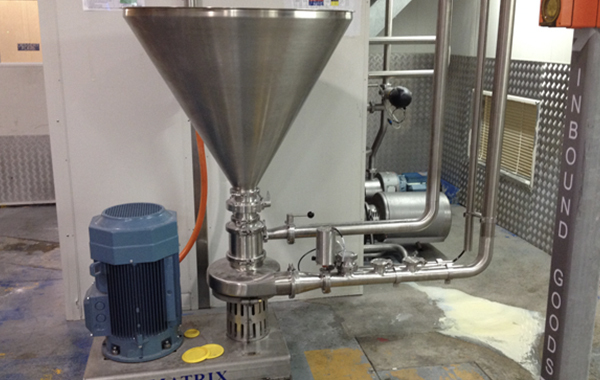 The proven tube within a tube design keeps dry ingredients and liquids separate until introduction in the mixing chamber. “For the past 1-½ years we had been struggling to find an industrial method to easily disperse and dissolve a fine, difficult to flow, powder into water. In addition, the resulting solution was thick & viscous. 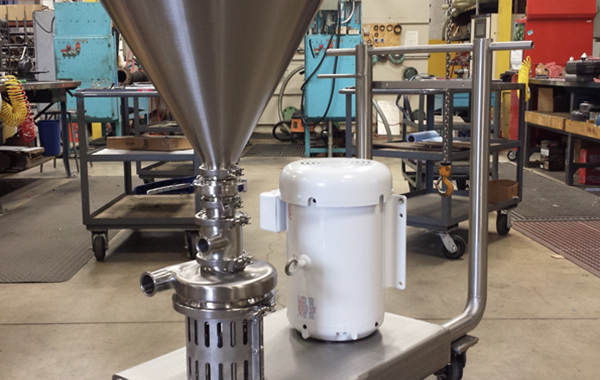 We had tried many different industrial blenders, and the Ampco powder disperser/blender solved our problem. Ampco’s entire organization – from sales to engineers – were very responsive to our needs, worked with us on modifications to their equipment, and have an amazing “can-do” attitude. GoFit Burger – A better way to Burger!